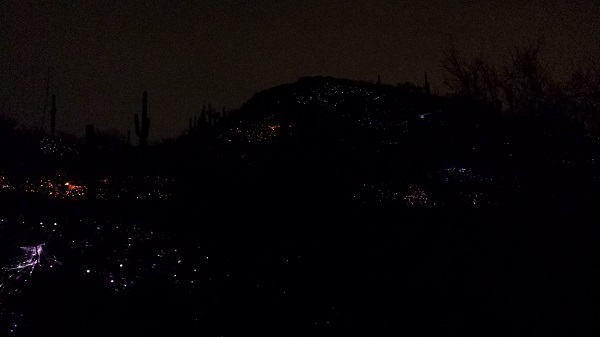 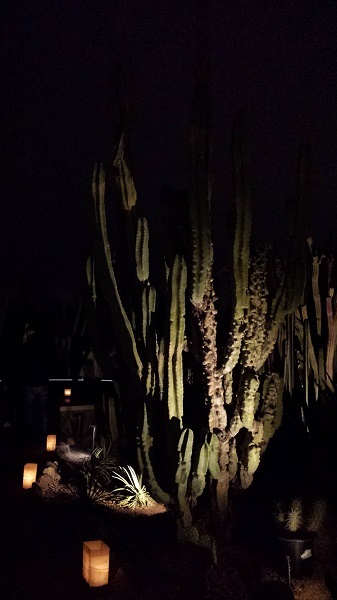 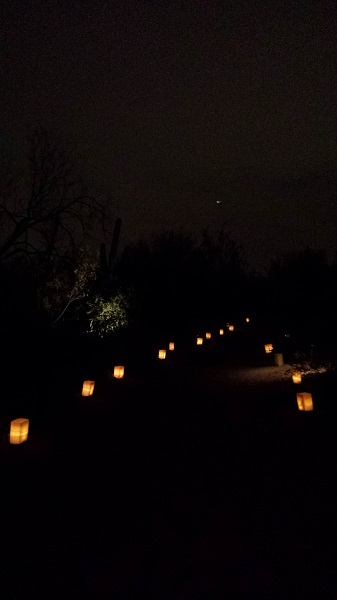 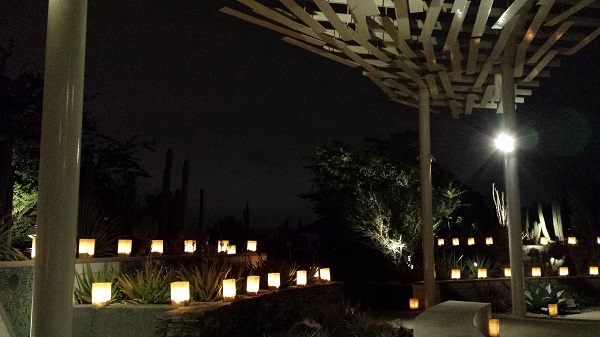 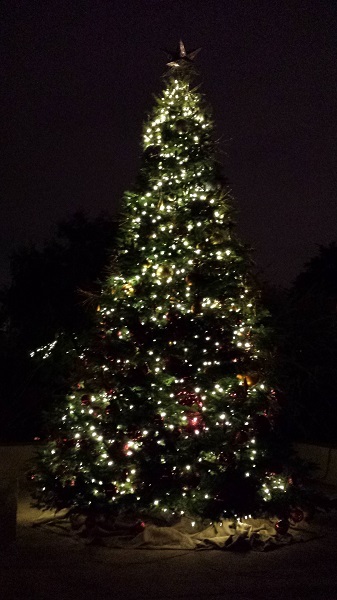 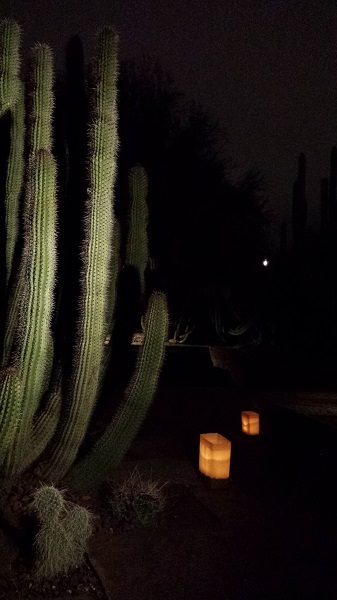 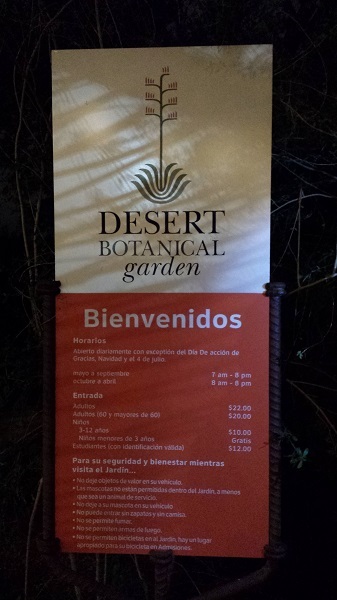 As a part of our Christmas celebration this week, we spent an evening trekking through the Desert Botanical Garden to take in the thousands of luminarias hand-lit along trails, walkways, and ledges. 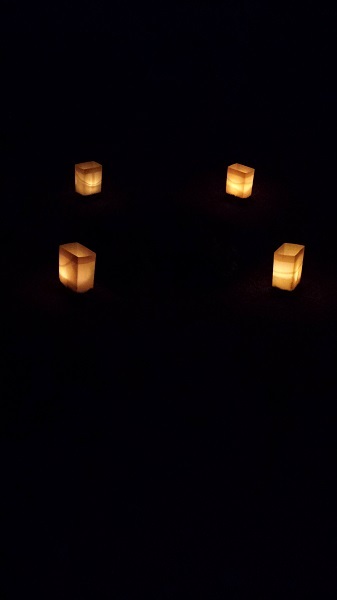 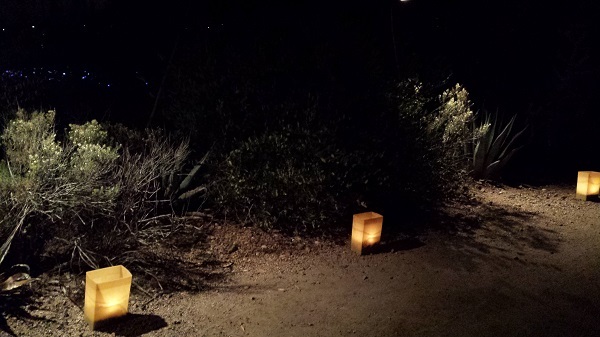 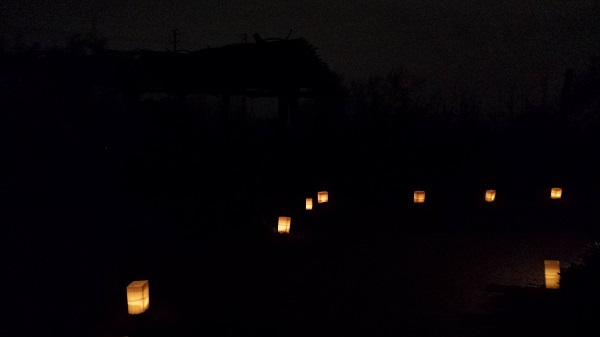 A luminaria is a paper lantern made by filling the bottom of a small paper bag with sand and setting a candle in it. 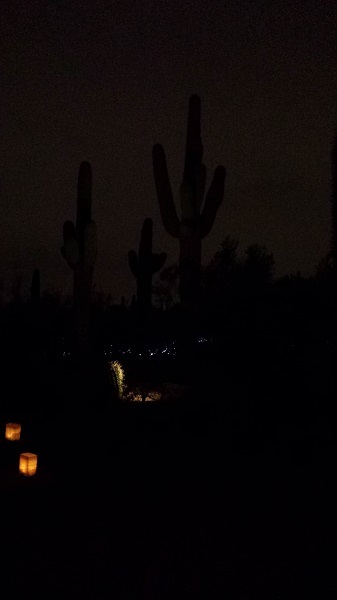 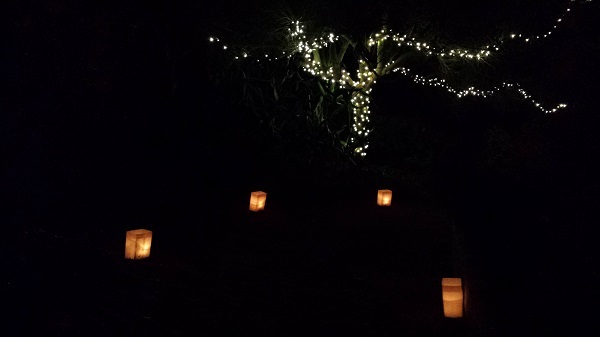 Like eating tamales on Christmas Eve, decorating your yard with luminarias (often around the perimeter) is a southwestern Christmas tradition, and Las Noches de las Luminarias is a tradition at the Garden. 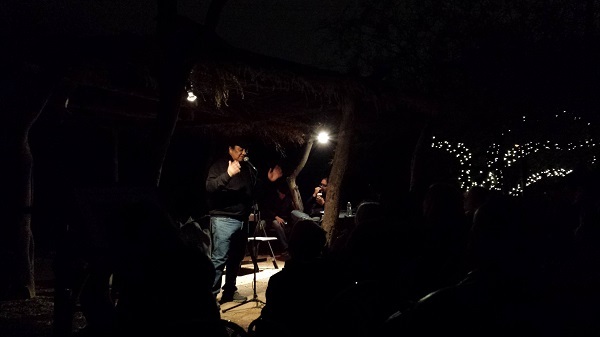 At this year’s display, we enjoyed the music of mariachis, and members of Yellow Bird telling Apache winter stories and playing native flute. 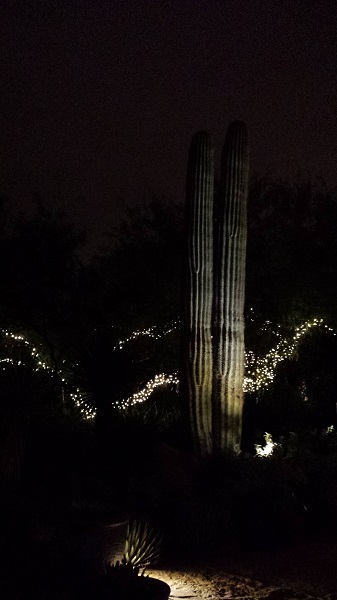 We also admired artist Bruce Munro’s breath-taking art installations in the Bruce Munro: Sonoran Light at the Desert Botanical Garden exhibit. 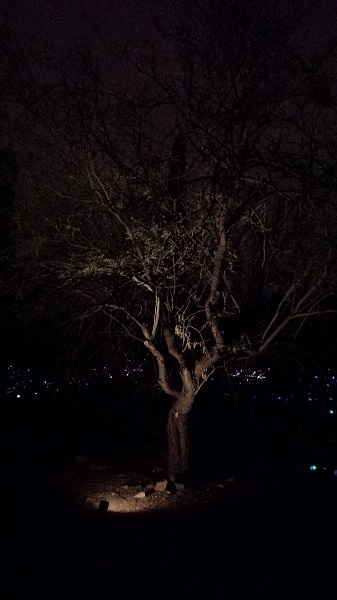 We visited the Garden after nightfall. 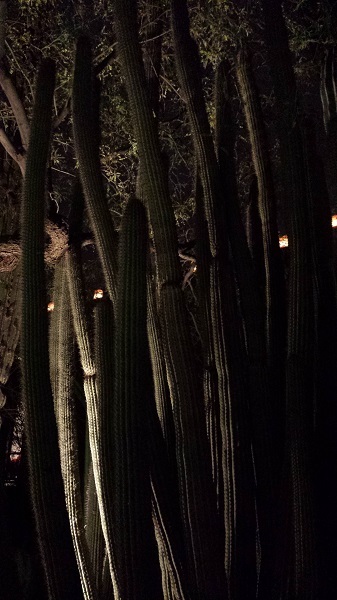 Of course, I took about 500 pics, which I whittled down to 32 after sifting through them. 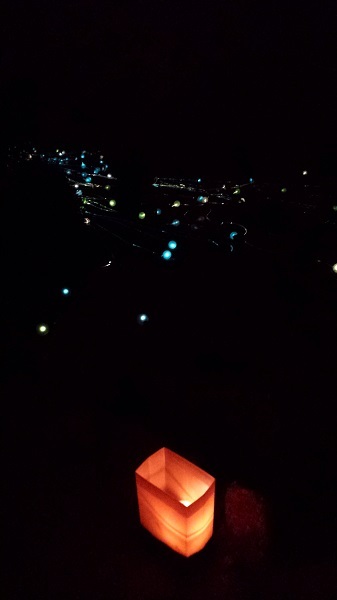 At times like these, I wish I had a better camera. 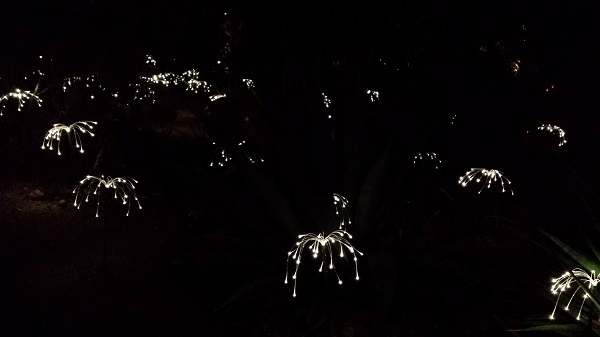 The one in my cell phone couldn’t adequately capture the beauty beheld in the Garden that night! 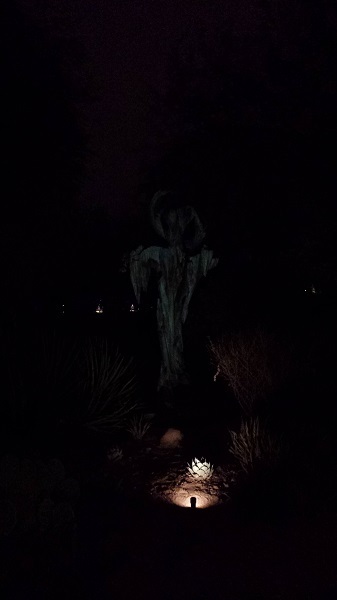 But I’d be lying if I said I wasn’t gleefully surprised when my photo album came out vaguely spooky and Halloweenish; the grainy photo quality probably has something to do with this. 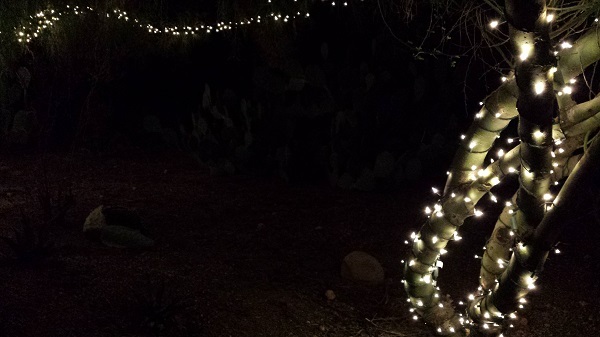 My first idea was to take you on a festive holiday stroll through the desert, but instead, you’re getting an experience that might resonate more with The Nightmare before Christmas. 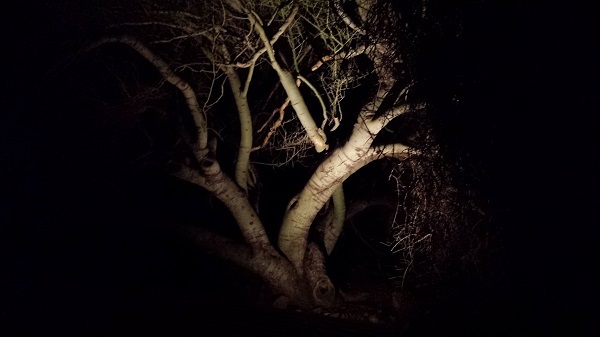 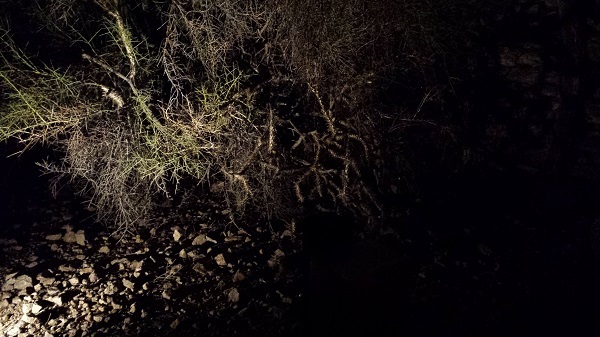 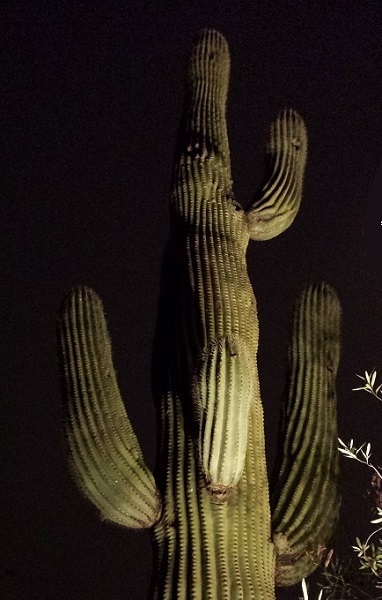 The desert at night can be haunting with botanical silhouettes, red skies, and ghostly trees. 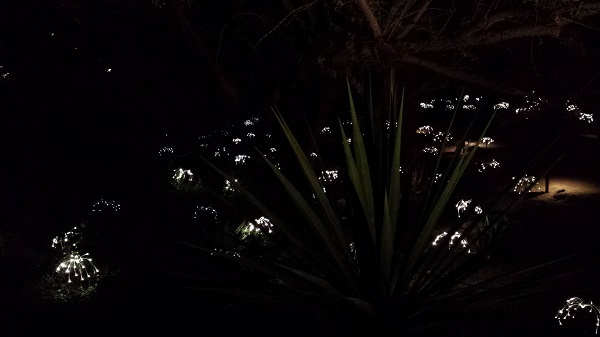 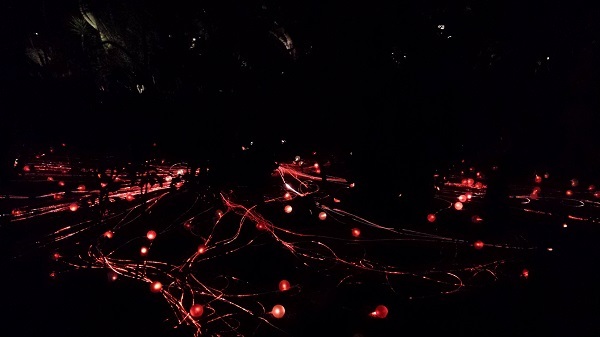 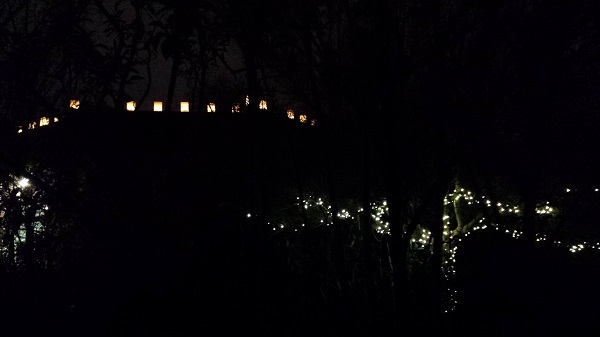 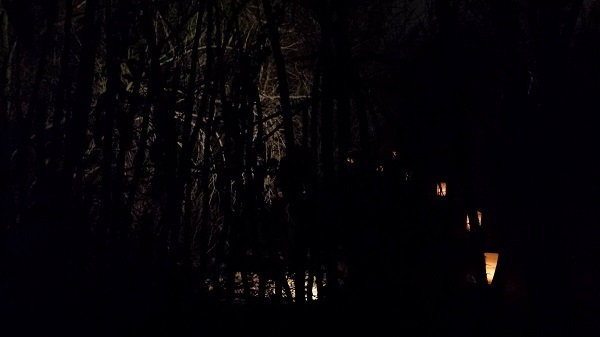 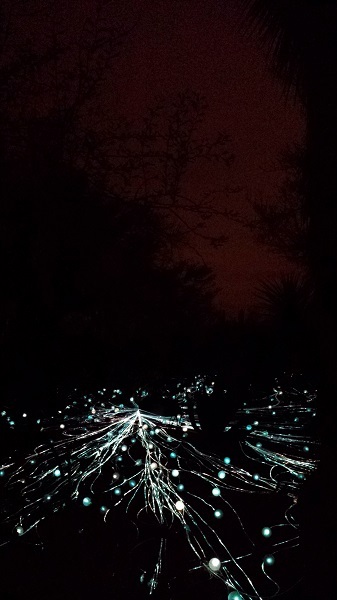 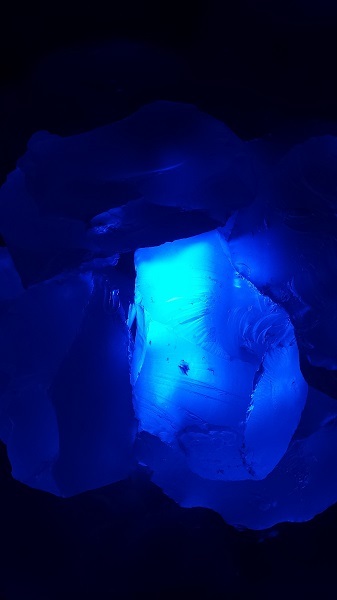 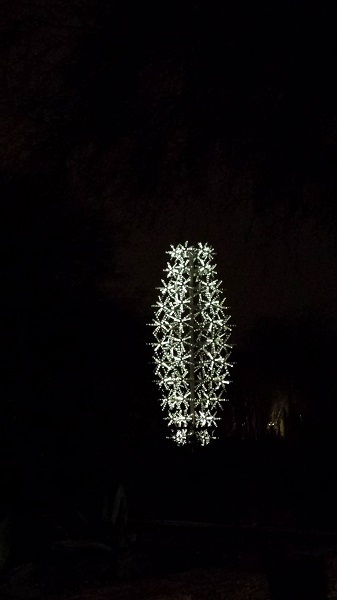 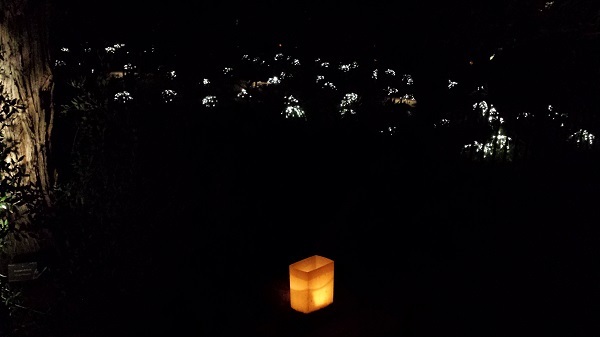 In many places, the luminarias and Bruce Munro’s artistic light installations added to the eerie effect. 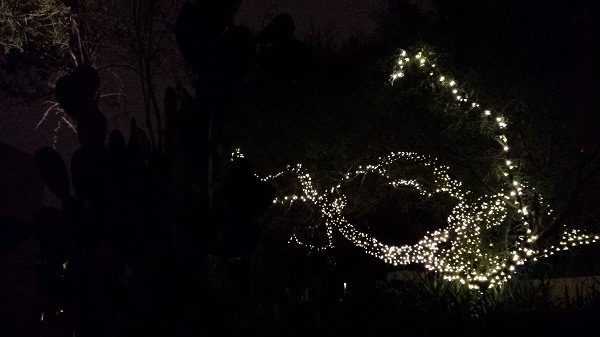 …and a great BIG “thank you” to Callaghan for patiently waiting as I took hundreds of pics! 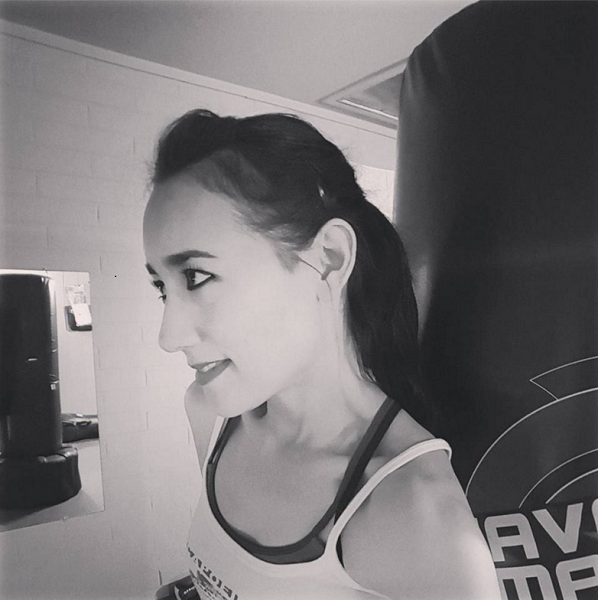 ← LA Fitness takes over 24 Hour Fitness in AZ, and AU REVOIR Body Combat.